"Eating a plant-based diet rich in vegetables, fruits, whole grains and beans can reduce your risk for cancer." The price of springtime fruits and vegetables seems to increase each year; but when buyers break this expense down to cents, they realize stocking up on these cancer-fighting foods still makes economical sense, according to University of Texas MD Anderson Cancer Center research. "Eating a plant-based diet rich in vegetables, fruits, whole grains and beans can reduce your risk for cancer," said Clare McKindley, a clinical dietitian at MD Anderson’s Cancer Prevention Center. "And buying what’s in season keeps your diet fresh and helps you build confidence in your food choices, while supporting your long-term health goals." Here’s a list of affordable springtime fruits and vegetables with the cost per serving, based on price listings from the United States Department of Agriculture. Prices may vary depending on where a person lives. 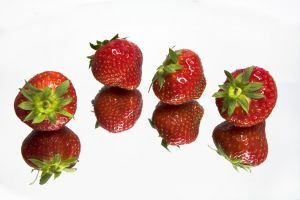 Health perks: Strawberries are loaded with cancer-fighting nutrients that protect the body from breast, skin, bladder, esophageal and lung cancers. Fresh check: The freshest strawberries still have their green cap attached. They’re firm and are free from mold, decay or damage. More than half of the berry surface should be pink or red. Price: $2.28 average price per pound. 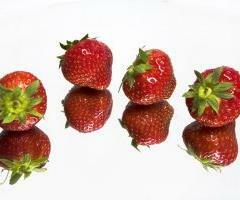 A pound of strawberries should give more than 2 cups of whole strawberries. Health perks: This sweet treat is low in sodium and high in vitamin C. And, it’s perfect as a fat-free dessert option to help adults maintain a healthy weight and lower cancer risks. Fresh check: Choose pineapples that don’t have soft or dark spots and dry-looking leaves. Price: $1.04 average price per pound. One pineapple should give about 5 cups of fruit chunks. Health perks: Spring is the season of greens, and, spinach is full of green goodness. Eating spinach powers up the body with fiber, folate and antioxidants that may protect the body from cancers of the mouth, pharynx and larynx. Fresh check: Opt for fresh, crisp, green bunches. Watch out for leaves that have insect damage. Price: $3.92 average price per pound. A 10-ounce bag gives about 5 cups of raw spinach. Health perks: For those who aren’t big spinach fans, mustard greens are an option. Plus, they’re packed with the same cancer-fighting power. Fresh check: Choose leaves that are fresh, fairly tender, clean and free from decay, discoloration or other damage. Price: $2.19 average price per pound. You should get about 2 ½ cups of cooked mustard greens per pound. Health perks: Broccoli is the most popular member of the cruciferous family. It’s a mighty green, boasting huge quantities of folate, fiber and antioxidants that defend the body from colorectal cancer. Fresh check: Sniff out the best broccoli. Choose odorless bunches with tight, bluish-green florets. Price: $1.84 average price per pound. One pound gives about 5 cups of chopped broccoli. For additional tips on food and cancer prevention, visit www.mdanderson.org/focused.